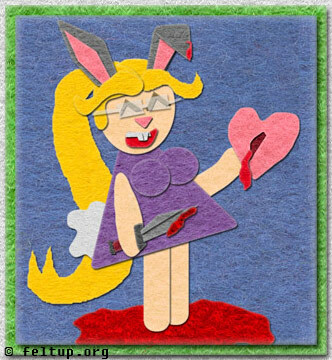 To be more accurate, I guess I'd actually get bunny ears surgically implanted and my weapon of choice would be a knife...cause knives are so cool and stuff. You don't have to reload a knife, and when you're done killing something with your knife you can use your knife to knife the thing up into bite sized bits. I'd have a tough time filleting a carcase with a gun, and probably wouldn't have much usable meat left.